A Virginia Supreme Court ruling this year that attorney fees do not necessarily have to be proportionate to recovery has been given a bold underline by a new circuit court decision in Hanover County. 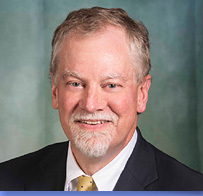 Guided by a springtime opinion from the state justices, Hanover County Circuit Judge J. Overton Harris this summer allowed a prevailing lawyer to recover fees in an amount 10 times the size of the judgment. The award came despite objections from the other side that the claimed fees were punitive, unconstitutional and unreasonable. Harris also ruled that experts are not always required to prove fee claims and that block billing is not always forbidden. The July 26 decision is Winding Brook Owner’s Association Inc. v. Thomlyn LLC (VLW 017-8-079). The case involved a claim for unpaid assessments in a retail development at the Lewistown Road exit on Interstate 95 in Hanover. Harris recited the procedural history in his opinion. In 2015, the owners’ association sued, claiming the owner of the Bass Pro Shops property owed outstanding assessments. The parties later announced they had reached a settlement agreement, averting a July 13, 2016, trial. Despite the agreement, the Winding Brook Owner’s Association said it never received the settlement payment from Thomlyn LLC., the property owner. The owners’ association rescinded the settlement and sought a new trial date. Thomlyn asked the judge to enforce the settlement agreement. Harris denied Thomlyn’s motion and set the case for a Feb. 15 trial. The owners’ association claimed Thomlyn owed $58,470.88 in outstanding assessments. It acknowledged that Thomlyn had paid $46,860 for parking lot repairs. The association asked the jury to reject a Thomlyn counterclaim and award $11,610.88. The jury did so. The verdict led to the association’s motion for attorney’s fees. The association submitted invoices for fees and costs and asked for an award of $121,160. Thomlyn responded that the fees were punitive, unconstitutional and not reasonable. “An award of reasonable attorney’s fees is neither punitive nor unconstitutional, and is required in this case,” Harris wrote. He said statutes regarding property association disputes and assessment liens “require” awards of reasonable attorney fees and costs. Harris said the activities of the association’s lawyers included having to twice prepare for a jury trial. The judge noted Thomlyn did not comply with the settlement agreement and did not provide proof of payment for the offsetting parking lot repairs until the second day of trial. Harris said the association participated with a consulting firm in the greater Richmond area “to ensure the firm’s hourly rates are consistent with or slightly below its competition.” Most of the association’s legal work was done by associate Kelly J. Bundy at Hirschler Fleischer PC under supervision of partner R. Webb Moore, the judge added. 7. Whether the services were necessary and appropriate. The time and effort “was substantial given the history of this case,” the judge said. The case was more complex than a standard breach of contract case, he added. “Plaintiff’s attorney’s services were valuable to its client. Plaintiff’s attorney obtained the result Plaintiff sought. The fees incurred were consistent with those generally charged for similar services,” Harris continued. Association counsel did not engage in duplicative and excessive work, Harris said. Harris explicitly rejected the contention that the association needed to bring an expert to court. “Expert testimony is not required in all instances to prove the reasonableness of attorney’s fees, especially when the attorneys have submitted affidavits and detailed time records,” Harris wrote, citing a 1997 Virginia Supreme Court opinion. Harris’ statement contrasts with the recent handling of a fee claim in a federal age discrimination case. U.S. District Judge Raymond A. Jackson said trial counsel’s own affidavit failed to provide a relevant survey of the market, but he allowed the lawyers to add an expert to their team in Zuraf v. Clearview Eye Care Inc. (VLW 017-3-421). “Block billing has not been universally condemned in Virginia,” he wrote, citing a 2013 Fairfax County Circuit Court opinion. “In this case, Plaintiff’s attorney’s tasks have been reasonably listed to provide a rational summary of the time spent on their projects. Plaintiff’s attorney’s time descriptions are sufficient for the Court to determine the reasonableness of the tasks and the amount of time spent on them,” Harris wrote. Harris determined to award $117,155.81 in fees. The amount included $10,000 in “anticipatory fees” associated with the costs of collecting the fee award from Thomlyn. Besides the fees, Harris allowed costs for filing and recording fees. He also said the association was entitled to half the cost of obtaining the transcript, requested by the judge. The Winding Brook decision hammers home the lesson of Lambert, said appellate attorney L. Steven Emmert of Virginia Beach. “My sense is this would survive an appeal. My sense is this is consistent with Lambert,” he said. “The statute mandates attorney fees and you can’t cheapen that by limiting it to an artificially small amount,” Emmert added. Emmert offered one caveat. “If I were litigating something like this, I would always want to have an expert,” he said. Newport News litigator Herbert V. Kelly Jr. agreed. “Before Lambert, I erred on the side of caution using expert testimony to establish the seven factors … when my attorney fee request was significant or exceeded the amount in controversy,” Kelly said. Kevin Martingayle, whose client prevailed in Lambert – overturning a ruling that limited the client to just $325 in fees for a $500 trial win – said courts tend to focus on the measure of victory. “One of the factors is the level of success attained by the prevailing party, and the amount truly in controversy plays a major role in how parties prepare for a trial (i.e., the more in controversy, the more resources are devoted to the matter). In Lambert, she got 100 percent of the damages she sought,” Martingayle said. “Getting full relief is a major factor that influences the award of attorney’s fees. The Lambert opinion makes that clear,” he added. Kelly said the landscape is now clear that attorney fees must be considered at the outset of civil litigation. “Based upon Lambert and this award, exposure to claims for attorney’s fees will be a significant factor to be considered in evaluating whether civil claims should be resolved outside the courtroom,” Kelly said. Bundy, counsel for the owners’ association, declined to comment for the record. Thomlyn is represented by Steven S. Biss of Charlottesville, who said he does not comment on pending litigation.